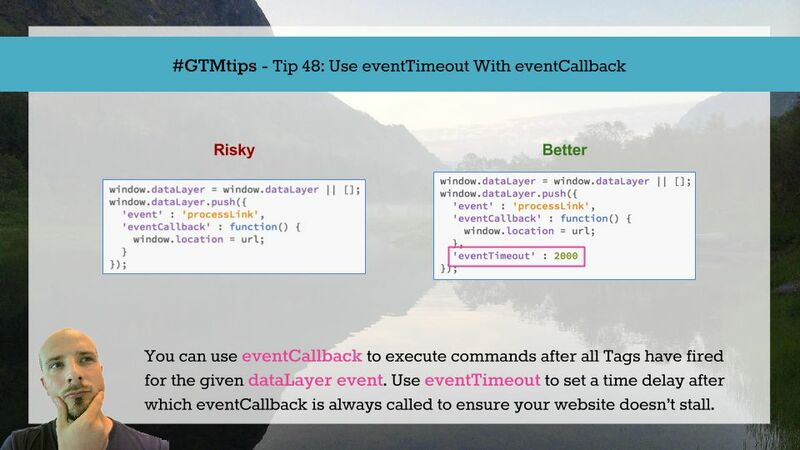 When you use the dataLayer.push() command on a page with a Google Tag Manager container, you pass information to GTM’s internal data model and potentially fire tags (if the push() contained an event key). 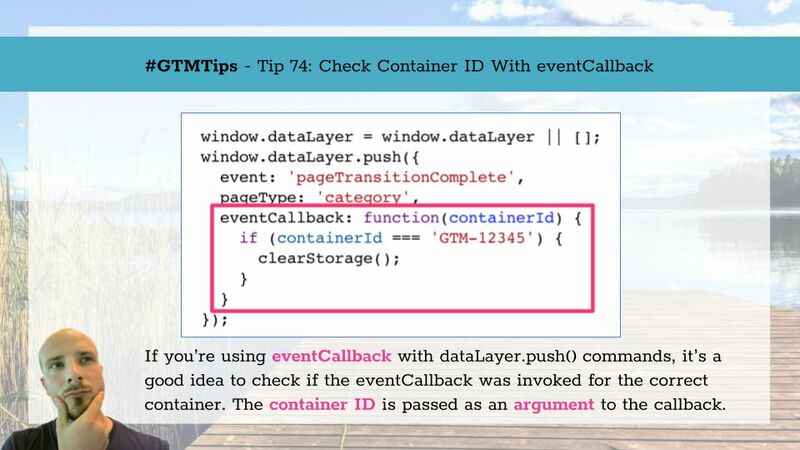 You can also add the eventCallback key to these pushes. The value of this key should be a function, and this function is then executed once the container finishes processing any tags that might have fired on that dataLayer.